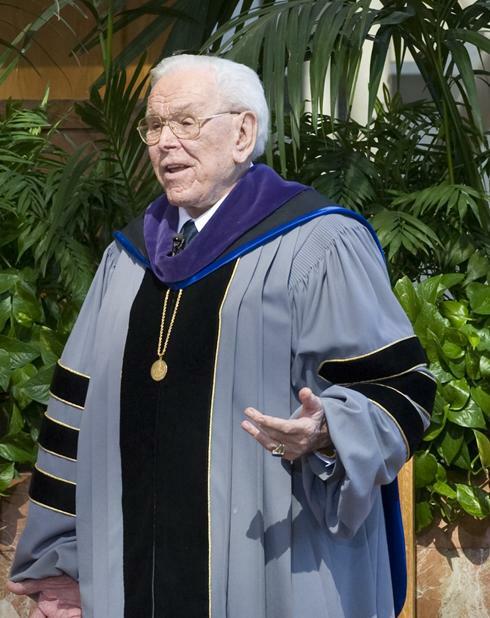 Robert Schuller is hanging up the robe… again? Dad is “retiring”. Or is he? 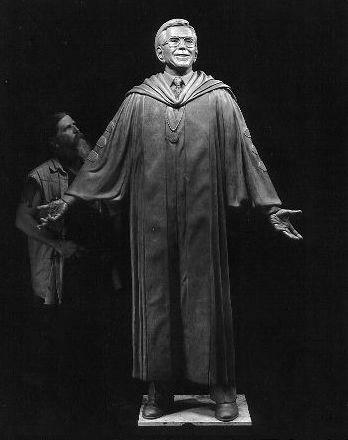 The entire drama, which is sure to be Made-for-Lifetime movie, began with an AP article (seen here in the New York Times) announcing the silver-haired preacher hanging up the robe. Mr. Schuller, 83, told his congregation that his daughter, Sheila Schuller Coleman, will become the lead pastor, after sharing that role with him for the last year. Doh! Now what? Granted, this was the first megachurch, the trendsetter. And Elder Schuller, while not so much in the Dear Ol’ Dad department is iconic in the church world. But why stay at 83? Keep him in charge of the fledgling ministry for what reason again? But meh? There could be many reasons for the drop off in ratings, viewers and donations, right? According to the story, church officials blame some of their troubles on an aging congregation and sluggish economy. They insist that a survey of members showed that the departure of the younger Schuller had no effect on their offering. But yes, the economy should have some blame in there too. Coleman, 59, said Sunday that the church’s economic situation had improved significantly in recent months and that she was determined to restore solid financial footing to the church her father built. “My role is to help him finish strong and hold him up so he can preach till the day he dies,” she said. It’s a quote of the dramatic many equate to some movie from the roaring 20s or some such, but not so fast. It’s actually one of the plethora of pop culture references that are really biblical writ. The passage is from 2 Samuel 1:25 and it could so be the headline for many ills plaguing the Church today. 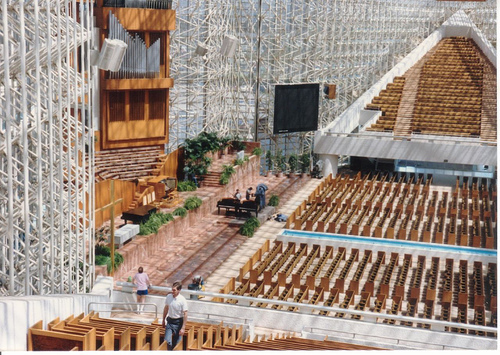 Take the plight of Robert Schuller and the Crystal Cathedral. We have gone from Elder Schuller kicking his son clean out of the pulpit to the entire ministry being on its last gems dealing with $65 million in debt. 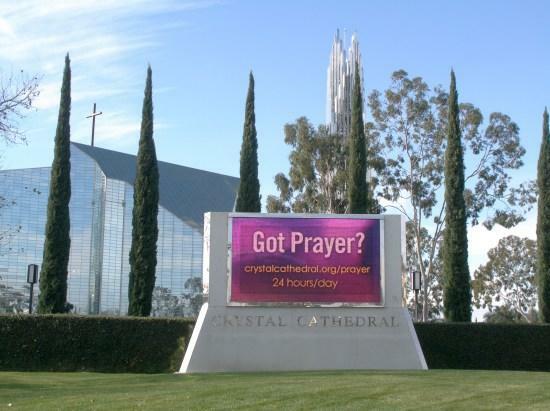 Over the last two months, three businesses, including an equipment financing company and two television stations, have filed lawsuits against the Crystal Cathedral stating that the megachurch owes them more than $2 million for services rendered. Several vendors who provided their services during the church’s “Glory of Christmas” pageant also came forward last month saying that they are owed tens of thousands of dollars. I have worked with enough megachurches to know this is a rather unfortunate, but never-ending, trend. There is this feeling of “God will cover our bills… and our vendors” brooding in churches everywhere in this great land of ours, and most of that mentality finds a delta in the pastor’s office. The ticket cost? More than $150,000. From marketing to missions, the path to hell is not lined with good intentions. It’s unpaid vendor’s invoices from churches. I wish I knew why this sanctimonious, impious attitude takes place, but despite the churches that do pay their bills, they are a barrel full of monkeys that don’t and just fling poo at the phone every time it rings. Robert Schuller is now the 800 pound gorilla in the IRS room, and so, he sends his baby girl to do his bidding: beg for mercy. 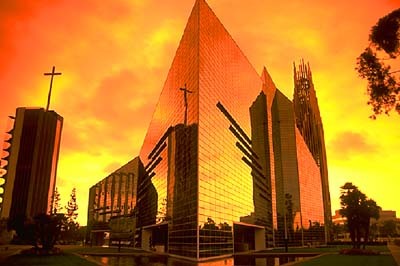 Leaders of a financially distressed Crystal Cathedral met with vendors and creditors Friday morning to discuss possible debt payments, according to a statement issued by the megachurch’s current leader, Shiela Schuller Coleman, daughter of Cathedral founder, Robert H. Schuller. “The purpose of the meeting was to gather all these vendors, suppliers and friends into one place and apologize for the delinquency of the accounts that we currently have with them,” Coleman said in her issued statement. MEMO to the Schullers – and any other pastors who enjoy fleecing vendors: “God bless you” don’t pay the bills! You can’t call up the phone company and tell the man, “Um, please don’t turn off my cell. I need it for business. And besides, Robert Schuller asked for my forgiveness. Now you can’t shut off my… (dial tone)…” Don’t you think this mindless charade of an apology was a skosh overdue? Vendors who attended Friday morning’s meeting said they had no idea there were so many creditors. When asked, cathedral administrators told them that there are as many as 185 creditors waiting in line to be paid. And it’s not any fault of the people who call that church ‘home.” Their tithes and offerings go there. Their service is there. Yet, that money stays there. Well, at least it used to before a cavalcade of attorneys came walking down the aisle looking for a handout. Maybe if that would have happened sooner, the church would still be open and vendors would have their bills paid for services rendered. You know, like they do in the real world. And folk say megachurches don’t need to be run like a business. Stories like this beg to differ. Wall Watchers, we finally have another intoxicating episode in the Robert Schuller saga. It’s been a while since we heard a peep from the chisel-jawed son-of-a-preacher man. After he got the boot from dear old Dad for not being a pastor in his old, shriveled image, he took a sabbatical to find his ministerial roots. Personally, I don’t get channels on my trusty satellite network that requires aluminum foil and a stiff northern wind to pick up programming, so I’ve never heard of AmericanLife TV. But there it is, and Junior Schuller snatched it for his own means. I suppose it was learning from experience because Dad’s network is now broadcasting static and prior to that, church at the Crystal Cathedral was a MLM convention instead of ministry. Hey, Junior Schuller, revenge really is a dish served cold… unless it’s a TV Dinner, which is where we find you. It seems the now “Chairman of ALN” took it to the airwaves this past weekend with “Everyday Life”. How’s that working out? “This is a story of redemption,” said Schuller, ALN’s chairman. The show is a scripted one with actors and Schuller as the narrator, telling the story of a man who has lost his way spiritually and then realizes what the important things in life are. Cryptic, ain’t it? The son is forced to become a prodigal by his father – one who was leading others to Christ and serving God better than most of us – and then decides to keep on walking and find his own path. The line about Jesus using video was probably taught to him while on his father’s knee, but now the son is becoming the teacher. Good on ya’, Junior. 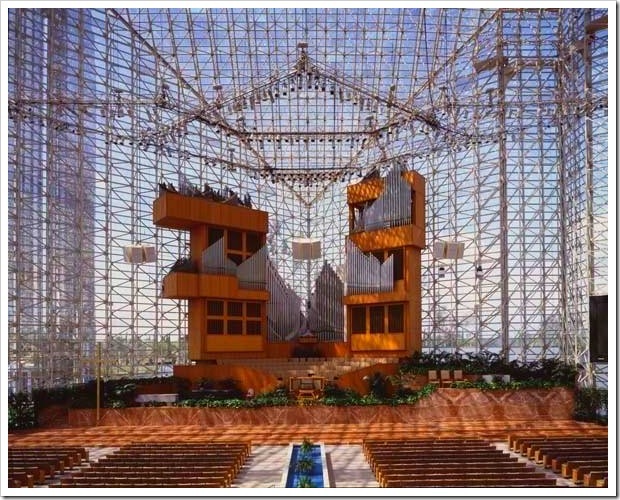 We’ll all be willing for that olive branch to be extended and have ALN begin broadcasting services at the Crystal Cathedral. Wouldn’t that be rich? Dad paying Junior to be on air. Ah, ministry. Bless the Lord.